This is the method I use to create some my BiColor images. It creates a synthetic Green channel. I have to say I got some of the ideas for this from Ken Crawford’s color mapping method and Steve Cannistra’s BiColor method. 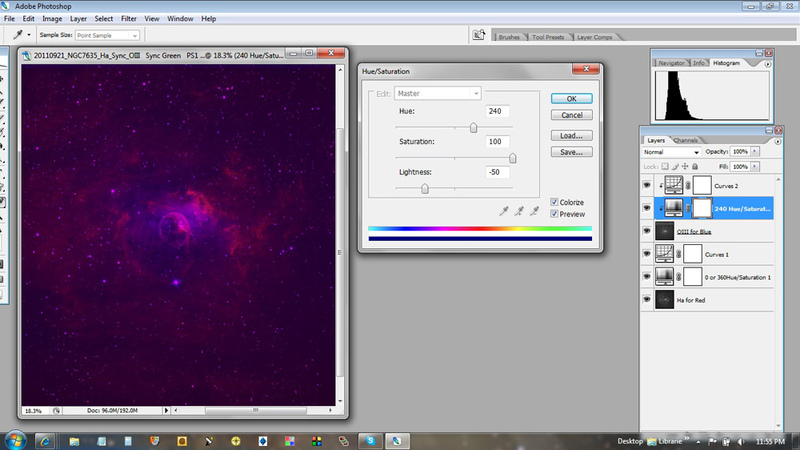 First I register and align my Ha and OIII subs in CCD Stack or whatever software you use for this. 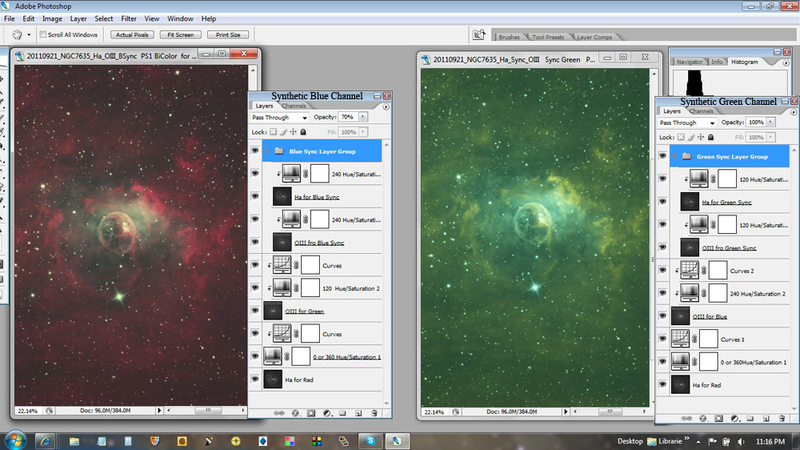 I then take them to Photo Shop to combine then into a BiColor image. Rename and Save you new document now. Once both data sets are in the group, you can adjust either one. Adjusting the Ha or OIII synthetic layers individually using a curves, levels, saturation layer etc. , the changes are applied right before your eyes. You can also adjust the opacity of either the Ha or OIII, thus administering the percentage of Ha or OIII applied in the Synthetic layer. Now on top of everything else you can adjust the opacity of the entire group and control the amount of the Synthetic layer applied to the entire image. 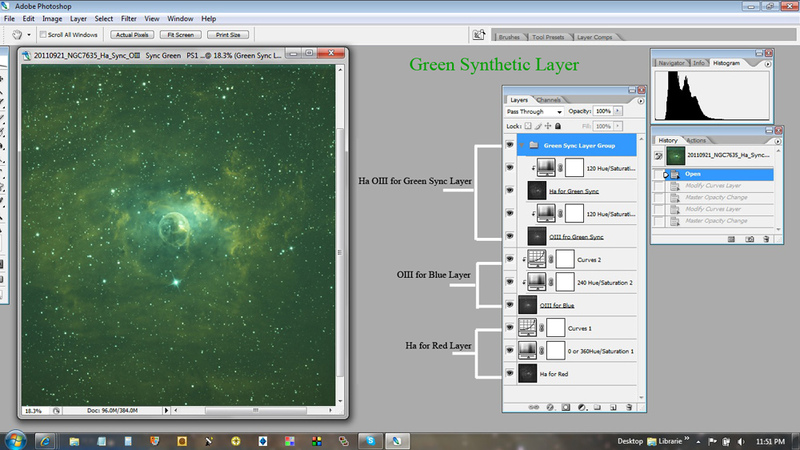 Here is a screen shot of the same data combined with the Synthetic Blue technique and the Synthetic Green technique.